Below, you'll find a sample technical resume template to give you a sense of how a resume will typically look once it is correctly structured. Of course, each resume should be highly individualized. There is a fair amount of flexibility in the way resumes may be formatted. There will be variations, but this template demonstrates a common way to structure a resume that works for many people in jobs that demand a large number of technical skills. You'll notice in the example below, instead of filling the resume with lists of technical skills and work experience, I've used the space to include explanations of the type of information that belongs in each section, how to write it, and how to format it. When you write your own resume, you'll replace that information with your relevant skills and experience. Include a two or three sentence statement which summarizes your most marketable skills, qualifications and accomplishments and indicates the type of work you are currently seeking. Subheadings are used to organize your skills and make the list easier to read. Use subheadings that fit with your own specific set of technical skills. Avoid full sentences, stick to a simple comma separated list of skills. This section is not the place for elaborating on accomplishments. List your most relevant and marketable skills first. Include five to eight of your most marketable accomplishments here. Ensure the accomplishments you list are relevant to the type of job you are seeking. Consider including accomplishments that highlight interpersonal skills; too often this type of skill is not addressed on an IT resume. If you want to highlight more than about eight items, divide this section into two or three shorter sections with headings that fit with the items you've highlighted. Use verbs (action words) to describe job duties and accomplishments that are most relevant to the work you are currently seeking. Bulleted point form makes it easy to read at a glance. List jobs in reverse chronological order - your most recent job goes first. Notice the job title is bolded and on the left. This formatting makes the job title stand out so employers can see your work history at a glance. You may also include hobbies here if they are positive and relevant to the job you are seeking. 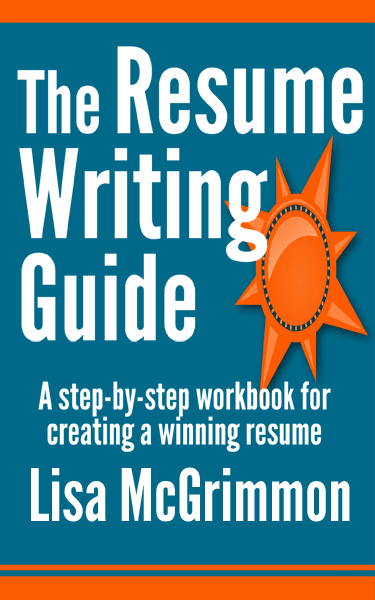 If you're looking for an in-depth guide to resume writing, my book, The Resume Writing Guide, will take you step by step through the process and help you to answer all of the "what ifs" that come up when writing a resume and show yourself in your best light. If you'd like to read a little more about writing technical resumes, check out the article Technical Resume Writing.